Welcome to a little bit of information about Charles Oropallo. Charles is a business owner (of CharlesWorks started in June 1998) from Peterborough, New Hampshire. Peterborough is located in the northeastern United States. Yes, that is Charles Oropallo above here. He’s smiling at his wife Susan Oropallo as she takes this photo. That photo above was taken by Charles Oropallo’s wife, Susan Oropallo. They were at the Margaritaville resort’s on site restaurant. 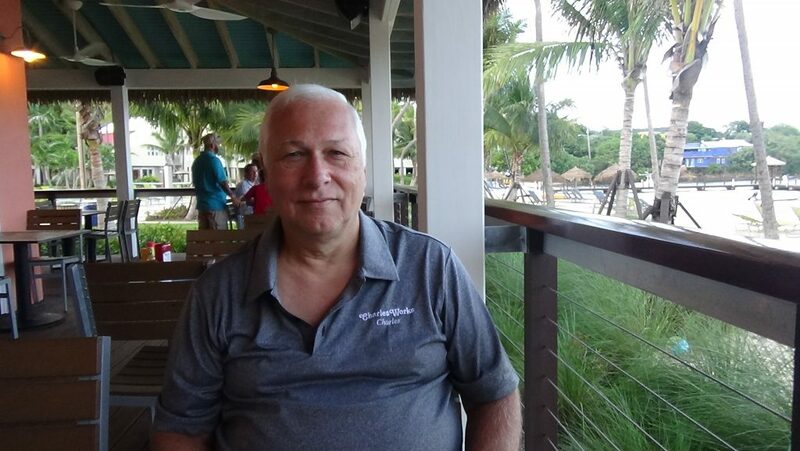 Charles and Susan were visiting Margaritaville on the island of St. Thomas in the U.S. Virgin Islands. This was during their October 2016 visit. 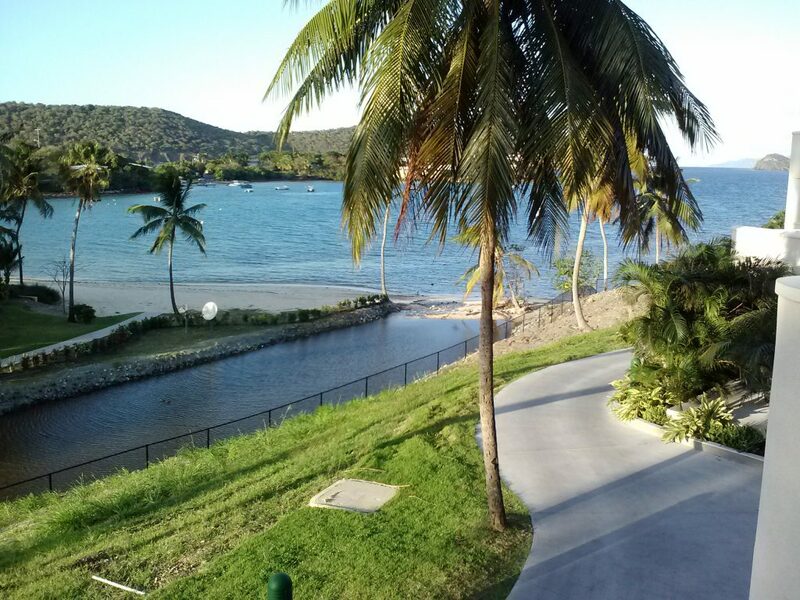 It certainly is clear that Charles and Susan Oropallo really enjoy visiting St. Thomas. They have been there a number of times. 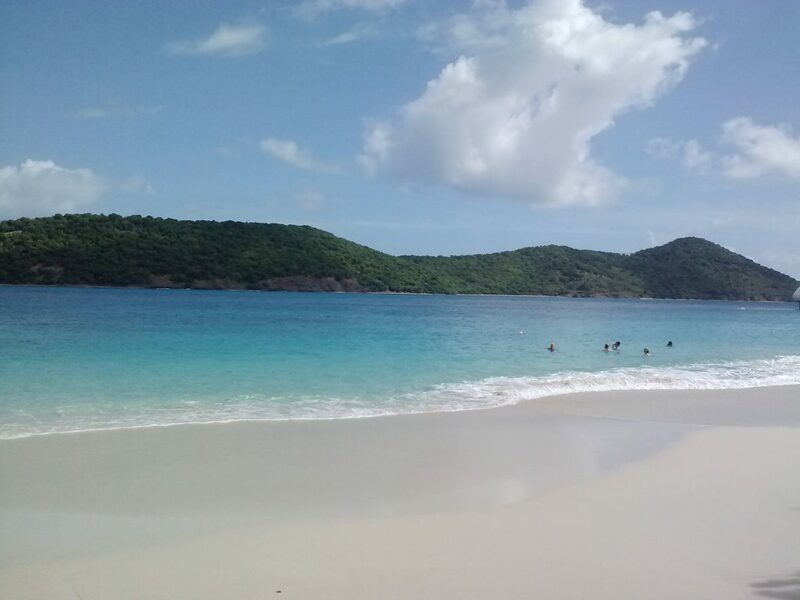 Charles and Susan went to St. Thomas again in April 2017. On that visit they got to stay in newer units. Those units were under construction when Charles and Susan Oropallo had visited Margaritaville during the previous October. One of the highlights for Charles Oropallo and Susan Oropallo at Margaritaville is snorkeling. They enjoy walking to Coki Beach to do some snorkeling. It is only a little more than a five minute walk to get there. Coki Beach is a fun place to snorkel for novices like Charles and Susan Oropallo. They usually bring their own snorkels and flippers for the trip. During this particular trip they brought along travel flippers. Travel flippers are a little shorter than the standard ones. They fit in carry-on luggage easier. The assortments of marine life at Coki Beach are no match for that Charles and Susan have seen on several of the charter boat trips they’ve done near the US Virgin Islands. Charles Oropallo and Susan Oropallo have taken several while in the St. Thomas area. However, the “short walk around the corner” to Coki Beach is so quick that it is much worth the walk – and a lot less expensive as well. Charles Oropallo and Susan Oropallo both recommend partaking in the many boating offerings on the island. For instance, there are numerous BVI (British Virgin Islands) tours. Charles and Susan Oropallo have done several of those. And there are other boat and sailboat tours available while one is visiting the St. Thomas area. 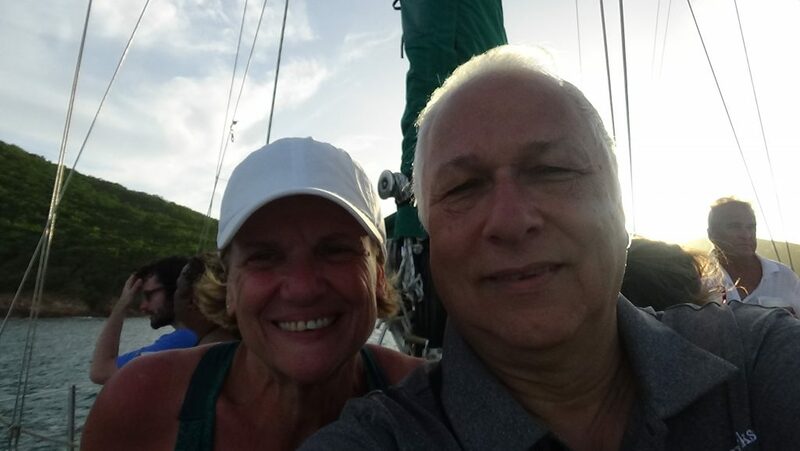 Charles and Susan Oropallo did a wonderful sunset sailboat cruise while in St. Thomas in October 2016. They planned on going back with friends in September 2017 but could not return at that time due to the terrible damage done by hurricanes.